The other week I got a delivery in the mail from Altenew which contained two stamp sets that I can’t seem to get enough of – Halftone Circles and Halftone Stars. 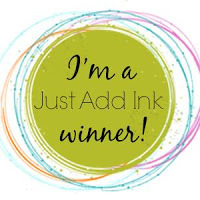 The current challenge over at CAS(E) this Sketch inspired me to get inky with these stamp sets using my Catherine Pooler Designs inks (I think I used every one of them in the range!). I did quite a bit of masking on these cards to keep them one layer and I’m really happy with how they look and my stash is now gradually growing. Here are the five cards I made! So, there you have it, thanks for looking and have a great day. Love them all Tristan, the colour combinations are gorgeous! These are all so fun and fabulous! Great takes on the sketch! just love the colors and the cards ! You did a beautiful job on how the colors blend as the progress ! These are stunning Tristan. The colours are perfect. Totally worth all the effort of the masking.